You can recommend subjects for specific titles from their details page in Marketplace by clicking Recommend subjects. This feature allows you to add, correct, or remove subjects. Any subjects you wish to update are reviewed by a specialist at OverDrive before they're changed. 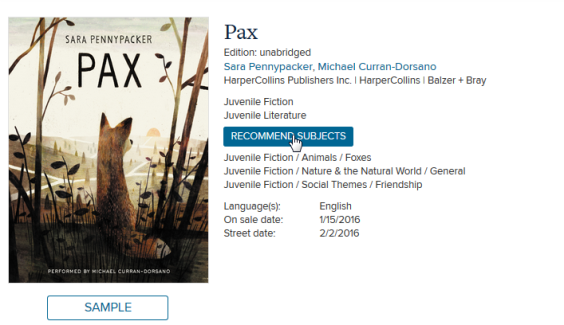 Juvenile and YA books are typically updated within 10 days, while general adult titles may take longer.